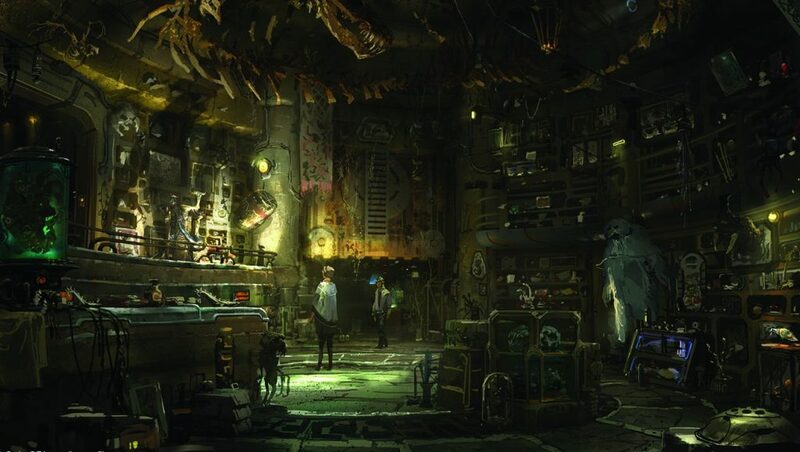 As we sift through a flurry of news about Star Wars: Galaxy’s Edge just put out by Disney, we wanted to bring you a look at some brand new concept art and descriptions for three shops coming to Star Wars: Galaxy’s Edge. At Savi’s Workshop, guests are given the opportunity to draw upon the Force as they build their own elegant lightsaber. At the heart of every saber is a kyber crystal, and during a guided tour, each guest will have four options to choose from: Peace Justice (modeled after Jedi from the Republic era); Power Control (a nod to the Sith); Elemental Nature (harnessing air, earth, fire, and water); and Defense (shrouded in mystery). 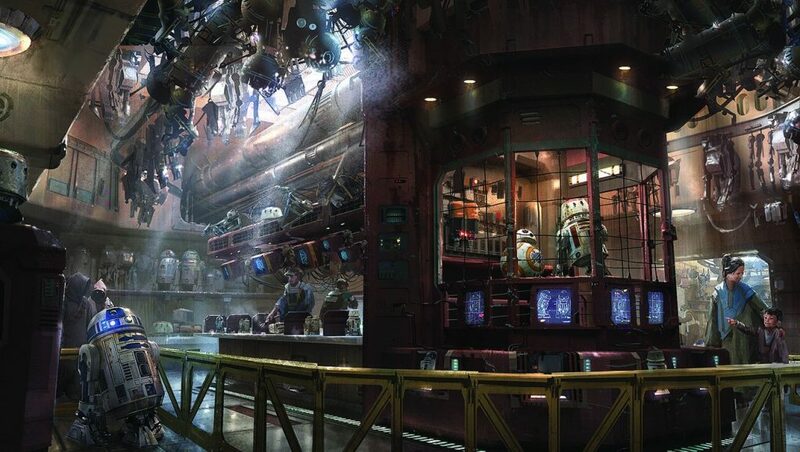 The Droid Depot is located in the market, inviting patrons to pick parts and pieces off a conveyor belt, then build and customize their astromech droids (R-series or BB-series); the droids are capable of interacting with elements in the land, responding to guests’ behaviors. Additional programming chips and accessories can be added to the droids to further customize their abilities. The Droid Depot will also offer guests pre-built droids, including a C-3PO who has quite a bit to say (especially if you “accidentally” take off his head and put it on backwards!) and a Rex who will happily play whatever music you have on your smartphone through an intergalactic Bluetooth connection. 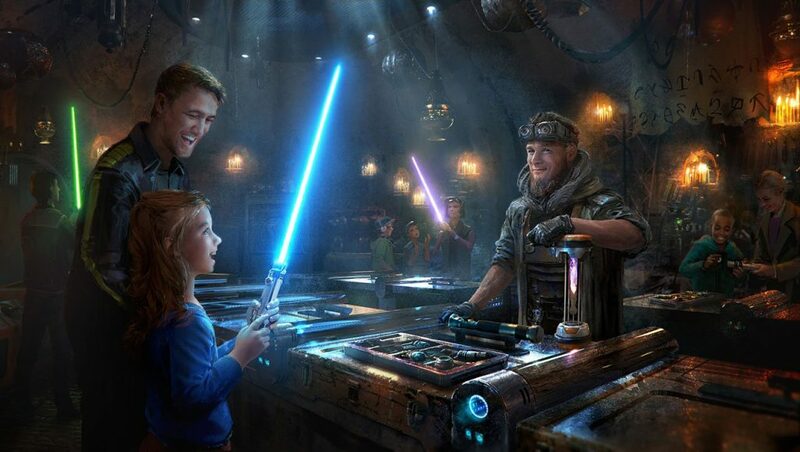 Star Wars: Galaxy’s Edge opens this summer at Disneyland, and in the fall at Disney’s Hollywood Studios.